This table features pie shaped veneers, crossbanding and antiqued solid brass hardware on four faux drawers. Sheraton base with solid brass casters. Available with one or two working drawers. 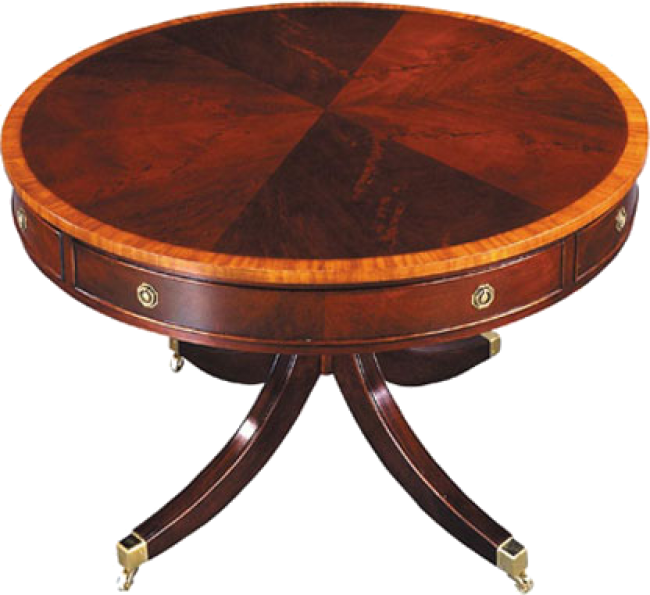 Pictured in Mahogany with Satinwood crossbanding.